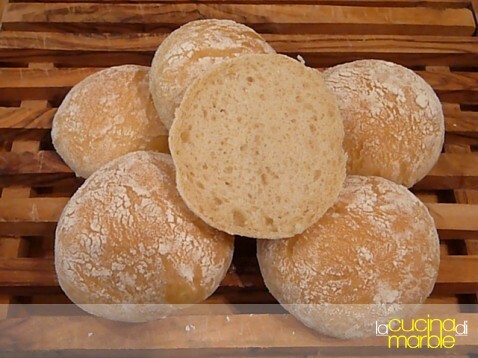 se possibile sono ancora meglio del pane grande! 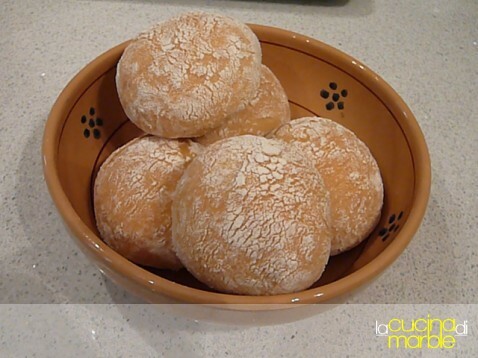 Place 150 gr of lukewarm water in a mixing bowl and add the fresh yeast. Let it stand until disolved. Then add 250 gr. 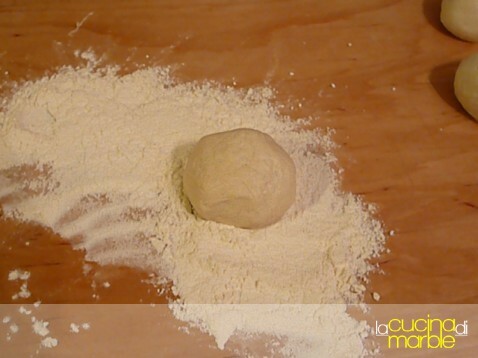 of all purpose flour to it and start kneading until you get a homogeneous dough. 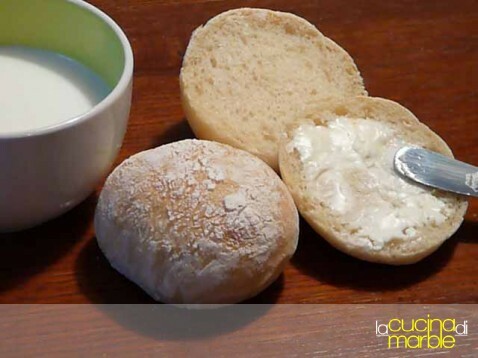 Cover the bowl and let it rise for two hours until it doubles in size. 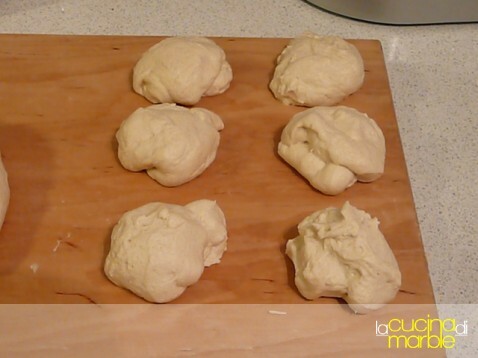 Punch down gently the dough and add the ricotta cheese, knead it a little bit and add 100 gr. of water, the extra virgin olive oil, 300 gr. 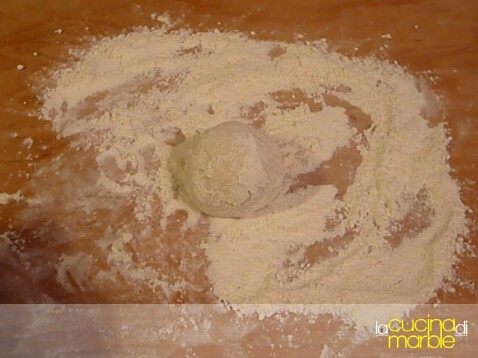 of flour and salt. 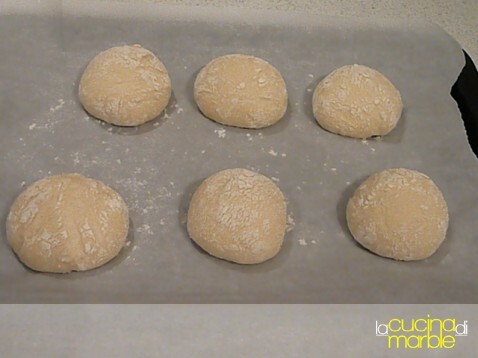 Knead the dough until a firm, smooth homogeneous ball is formed. Let it rest for 30 minutes in the mixing bowl. 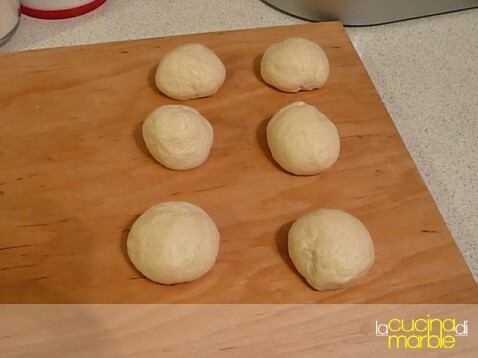 Then move the dough to a wooden cutting board, punch it down and divide it in little balls of 50 gr. each. 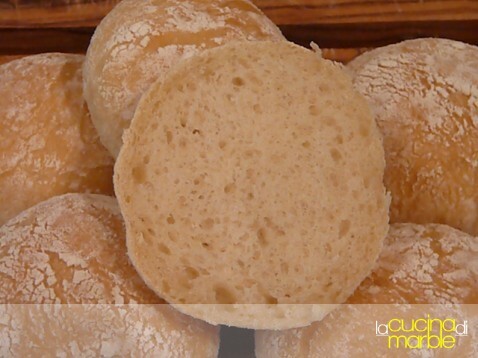 Dust them with flour and put them on a backing sheet. Let it rise again until double (about 1 hour). 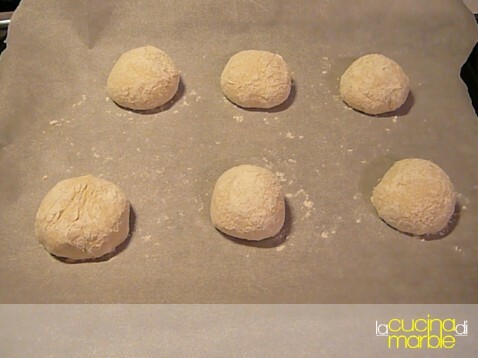 Place them in the oven at 200 (per errore ho cancellato il pallino dei gradi!) 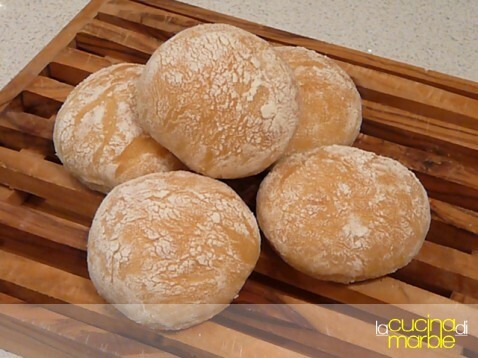 C for 10 minutes, then turn down the oven to 180 until the rolls are baked.